Contact us for BMW repair Auckland wide with Auckland Mobile Mechanics making car servicing and car repairs easy and convenient for you. When you book a Mechanic we send out a BMW experienced technician to your location Auckland Wide, home or office at a time and place that suits you 24 hours 7 days, giving you more time to do whats important for you! Experienced BMW Mechanics at your place! Our Reliable Mobile Mechanics come to you for your BMW repairs Auckand and Car Service or to diagnose your car’s problem. We also provide fixed price services to meet your needs, and can offer quotes before repairs as well as options for you to fix your cars problem. Auckland Mobile Mechanics use quality parts at competitive prices backed by warranty on your BMW repair Auckland wide and service giving you peace of mind. Contact us today! Call 0508 247 273 or book online below! Why choose us for Mobile Mechanics Services? Warranty – Our warranty of 12 months covering all servicing and repairs – both on and off site. Workmanship – all work undertaken will be carried out by our fully qualified mechanics. 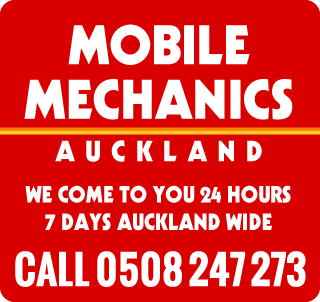 Convenience – our mobile mechanics will come to you anywhere in Auckland, eliminating loss of your precious time. Fixed pricing – we will disclose full detailed cost breakdowns of repairs, parts and service options.